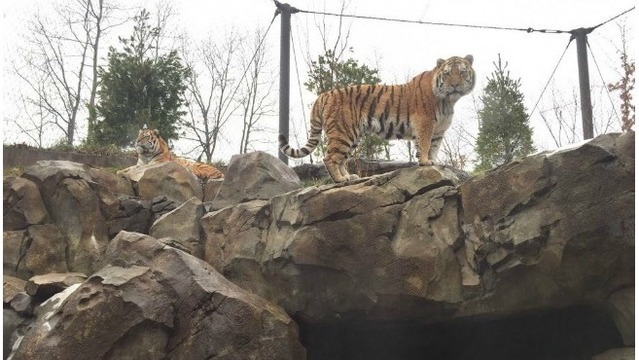 GRAND RAPIDS, Mich. (WOOD) — A bill signed into law late last year will allow John Ball Zoo in Grand Rapids to start breeding endangered Amur tigers. Former Gov. Rick Snyder signed amendments to the Large Carnivore Act into law Dec. 28 and they went into effect on New Year's Eve. The changes allow for the breeding of large carnivores, specifically threatened or endangered species, at zoos in Michigan, and set detailed rules for care and safety. The bill means John Ball Zoo can participate in a program to breed and preserve Amur tigers, a highly endangered species native to far east Asia of which fewer than 540 remain. In a Wednesday statement, zoo CEO Peter D'Arienzo applauded the passage of the changes and thanked their supporters. along with enhanced animal welfare," he stated. "And, most importantly, a positive step forward in the conservation of endangered species." The breeding of large carnivores had been outlawed in Michigan in 2000.